The trouble with Greece is… OK, where to start. Public sector debt? Unemployment levels? Its trade imbalance? A succession of inept quasi-socialist governments? Any or all would be a good place to begin but the underlying problem is that tax avoidance is the Greek national sport. World Bank data to the end of 2013 shows Greece has only 29 per cent of its GDP as tax receipts; the EU average is 37 per cent. The inability to tax fairly not only devastates public sector finances but has also created a corrosive social distrust with the entire notion of taxation, especially under the current conditions of extreme fiscal duress. Now let’s put that in monetary terms. According to the Wall Street Journal, at the end of 2014, Greeks collectively owed their government about €76 billion ($86 billion) in unpaid taxes accrued over decades, though mostly since 2009. The government says most of that has been lost to insolvency and only a fraction can be recovered. In the same period new arrears kept mounting. IMF data shows that of the 2.6 million Greek debtors, only 92,323 have set up monthly payment plans. Overdue tax collection fell €382 million ($433 million) short of its target in 2013. Greece’s inability to levy and collect tax represents a “critical risk” to the country’s compliance with its creditors’ conditions, the IMF concluded, and even then nobody is really doing the collecting. According to the Intra-European Organisation of Tax Administrations (Iota), there is now only one tax collector per 1,127 Greek citizens, whereas in Germany it’s one per 730. 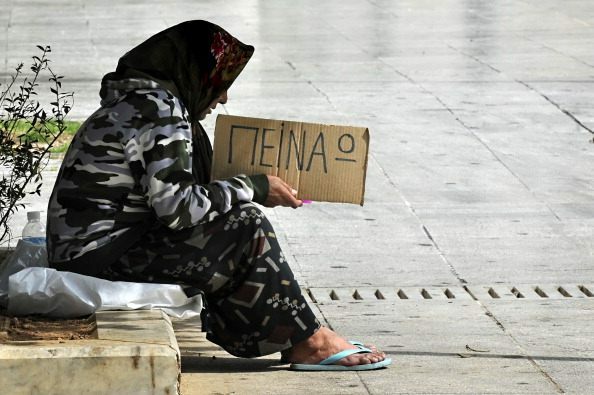 The situation is made even worse by the catastrophic unemployment rate in Greece. This means the pool of potential taxpayers is even further diminished. According to Trading Economics, the Greek jobless rate remained unchanged at 25.6 per cent in March 2015 from an upwardly revised 25.6 per cent in the previous month, as both unemployment and employment went down. Unemployment affected mainly people aged 15 to 24 years in March 2015 as 49.7 per cent of young active population was unemployed. Youth unemployment rate was recorded at 56.4 per cent a year earlier. The figures reflect the dire economic situation befallen the citizens of Greece, where wage cuts and rising unemployment mean ever more taxpayers are failing to meet their obligations. So the answer appears to be that Greece is going to continue to try and borrow its way out of debt and try and prove Margaret Thatcher was wrong when she said, “The problem with socialism is that you eventually run out of other people’s money”. She could not have possibly foreseen the way a mendicant Greece could manage to stitch up yet another last minute EU financial lifeline so other people’s money could keep flowing into its coffers. Somehow, impossibly, incredibly Greece has managed yet again to stave off the inevitable. The latest deal hinged on the understanding that there would be no further reductions in pensions or public-sector wages. And there would be no increase in VAT on electricity. This happened because the country does not so much owe the money to the EU in general and Germany in particular but rather the banks that issued the loans on the understanding they would be under-written by the dead hand of the IMF. But has anything really changed that will give hope to Greeks for a solvent future? Nothing at all. We will be back here in six months as yet another deadline looms and Athens cries poor again. Until Greeks realise that paying tax is a social responsibility not an option to be considered then discarded, the world will continue to have to stump up its money to stop Greece floundering in an insolvent sea of its own making.